This is a unique initiative undertaken by Dr. Shri. Chandrashekhar Guruji to provide happiness to people, who have lost connections with their loved ones. The initiative has been adopted in the wake of the increasing trend of children getting separated from their elderly parents and neglecting them. As a result, senior citizens are invariably abandoned and left alone to their fate at the fag end of their life. 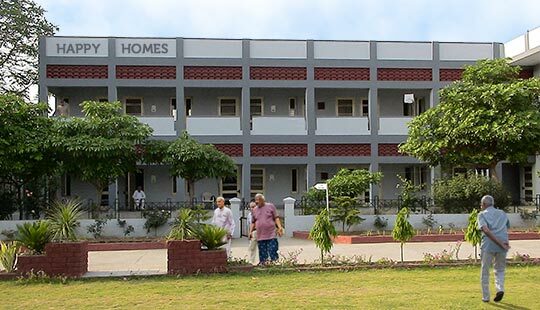 Keeping in view the plight of senior citizens and other people in distress, Guruji seeks to offer love, care and shelter to them by setting up 'Happiness Centres'. The initiative is based on the concept of 'Vasudhaiva Kutumbakam' meaning, the 'whole world is one family'.